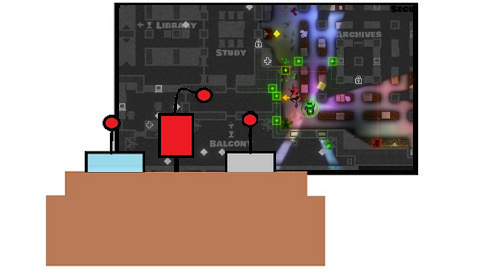 With the recent XBLA release of Monaco it seems a bunch of the staff have chosen to dive back into some co-op heisting. The Neverwinter beta also seems to be quite popular while the rest of us continue to trudge through site development. Soon folks you'll get a preview of that...soon. Nick Puleo (@NickPuleo) - "I'll be checking out some Metro: Last Light on PC and continuing 4.0 development of Co-Optimus." Andrew Gaskill (@cubninja) - "I'll be crushing endgame pacts in Soul Sacrifice and wrapping up FC3 Blood Dragon from the comfort of our new Sumo Emperor-if the girls let me on it." Mike Katsufrakis (@Pheriannath) - "I've been playing a lot of old SNES games for my daughter's entertainment, but if I get some spare time of my own, I hope to play some more Neverwinter. Other than that, it's all Co-Optimus 4.0 development." Marc Allie (@DjinniMan) - "I picked up Go Home Dinosaurs on sale this week, and will likely be finishing it up. It's Tower Defense meets Tetris with gophers defending their BBQ from invading dinosaurs. It is as fun as it sounds!" Jason Love (@JLove55) - "Montezuma's Revenge." Eric Murphy (@smurph_em)- "It was beginning to look like I'd have to execute a true heist to acquire Monaco (XBLA), but luckily it was actually released today. I'll be playing that, along with Halo 4 and The Walking Dead Episode 4. I'll also be eating all the candies." Sam Tyler (@reelsamtyler) - "I'm off to a friends to watch the FA Cup Final on TV and Fulham vs. Liverpool in person. This can only mean one thing.... co-op Pro Evolution Soccer 2013 in between the real games." Locke Vincent (@LockeVincent) - "Spring cleaning for a bunch of games that are 3/4 finished. Soul Sacrifice, Dishonored, Monaco, and who knows - maybe I'll even go outside. " Tally Callahan - "I'll be switching between BIoshock: Infinite, Neverwinter, and some board games this weekend." Chris Metz (@The_Lemko) - "Another busy weekend running around, but I'm stoked to try out Monaco! Hit me up if you'd like to play." DJ Waaland (@FusRoDJ)- "Probably going to play more Soul Sacrifice and Dragon's Dogma: Dark Arisen. May grab Monaco as well." John Bardinelli (@itsamejohn) - "After playing the original Sanctum this past week, I think I'm hooked on it all over again." What are you going to be playing? Page created in 0.5795 seconds.